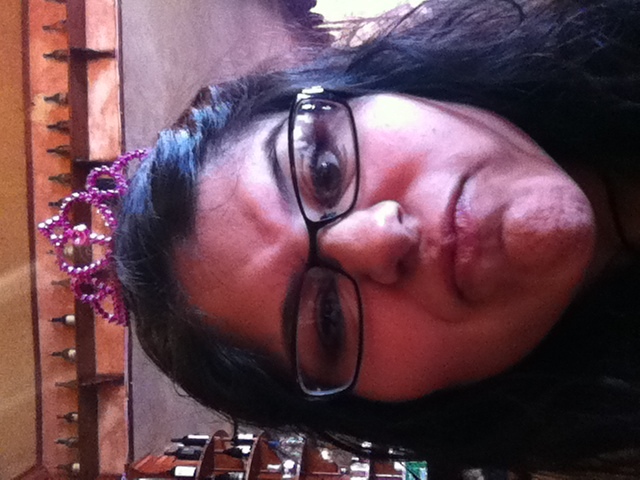 tacos and tiaras | you seem nice. …that was just as weird for you as it was for me. a) you know you want to. b) “fast food folk song (at the taco-bell drive thru)” sounds fascinating. c) it’s already on this page, so why not just push the play button? 2. again, i was in class (i sound like a super awesome student because i’m always in class…or i’m just doing what a student should be doing. never mind, not as exciting anymore), and the class opener was this ad/viral video that is just too ridiculous not to watch. now, was that a complete waste of time? NOPE! jus’ chuck testa…being chuck testa. i thought it was awesome! frreal. 3. i have discovered the name of the crippling disease i suffer from. tinselitis. what is tinselitis? oh, just being alyssa n. palomo between the days of december 26 and november 2_ (thanksgiving day–it changes every year, so it’s hard to pinpoint). it can also be described in 2 words: christmas freak. i’ve come to accept this term thanks to a columnist at hellogiggles. i know i’ve talked about this site before because i love it so. if you haven’t visited it yet, you should. even if it’s just a visit to the home page. what harm can it do? ya know you wannaaa. anywho, i saw this picture that had christmas-wrapped boxes/presents filling the ENTIRE frame. i was like hold on, hold on, hold on. christmas presents + hellogiggles!?! maybe not that extreme/intense, but i was still excited. so i clickitty-clicked on the link and boom. new fave column/columnist. she’ll be writing a column, “tinselitis,” for 12 weeks leading up to the most wonderful time of the year (i had to). as in the 12 weeks of christmas. does that sound familiar to anyone who’s been reading/skimming/looking at my blog and/or top tags!?! kindred spirits. so i’m super pumped about that. if you’d like to read an articulated explanation about how i could possibly annoy everyone within a 5 foot radius of me, read this article: click here, click here, click here! and those are the things i wanted to share. this weekend i joined some crazy cubans for adriana’s mom’s bachelorette party. i thought i was ready for the madness by foolishly thinking, “my aunts are kinda crazy, i think i’ll be fine.” adriana tried to tell me, but i didn’t heed her warning. we were at the first place for a total of 5 minutes before i was like uhhh…i’m not ready for this. it was like having 8 of my aunts at one table. oh, also, it was her grandma’s birthday. in the car on our way to the 2nd place, there was an argument/debate over where we would be heading. 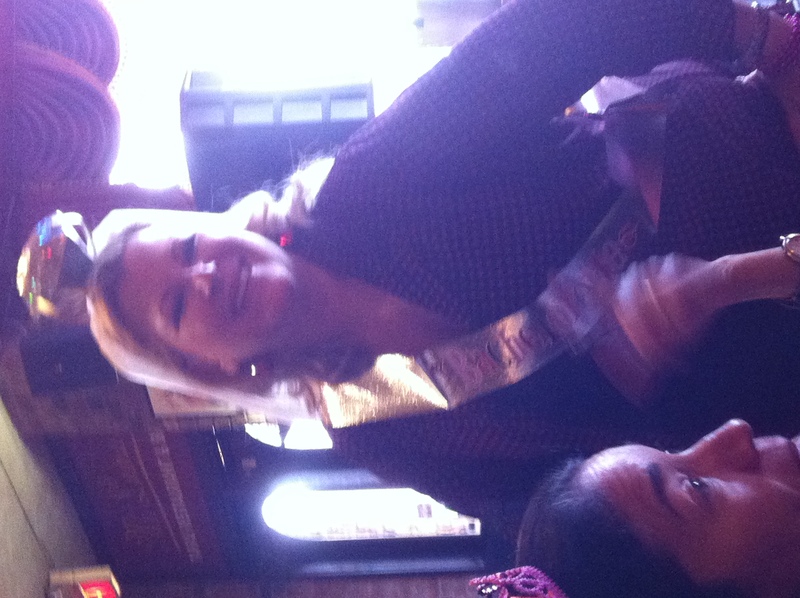 classic bachelorette/daughter vs. birthday girl/mother battle royale. funny story, the bachelorette had the best time at the birthday girl’s selection. i was supposed to take pictures, but i didn’t. however, i took like 5 on my phone…if that counts? yes!?! adriana = maid of honor. hence, her giant tiara. 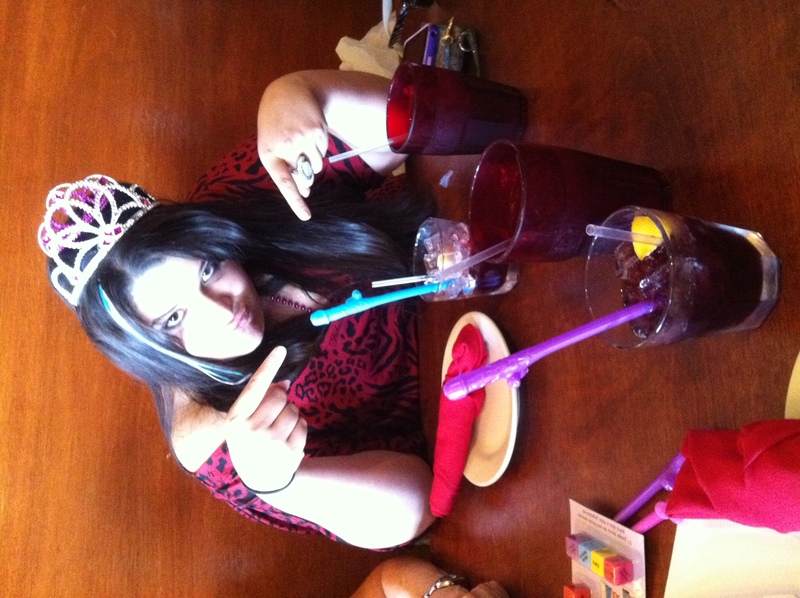 she's pointing to the inappropriately appropriate straws. and for the record, i didn't use mine. that's a sample of the tiaras everyone else wore. bachelorette! she's wearing a sash and a giant diamond-ring headband with a veil attached. a ring because "he put a ring on it." that was her explanation of the headdress. sorry it's kinda blurry, she likes to move. 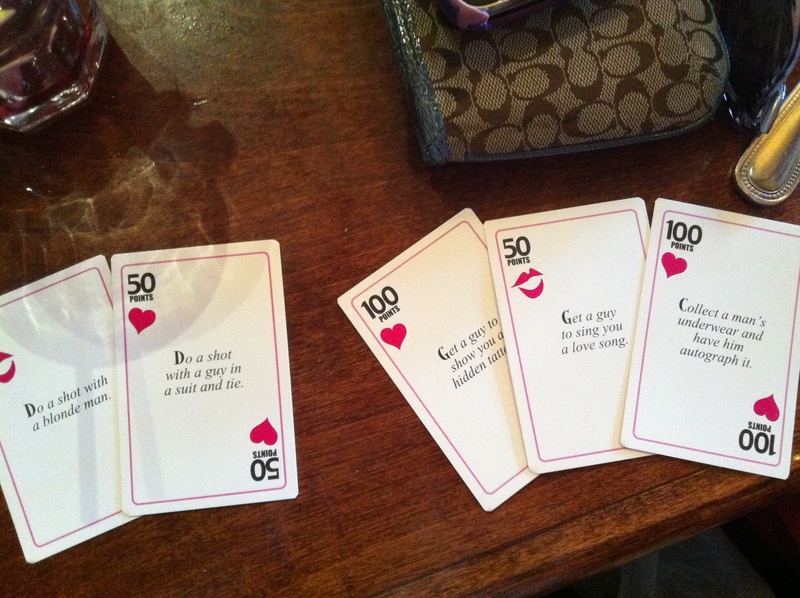 the horrible card game adriana bought. the 2 on the left were my tasks and the 3 on the right were adriana's. we didn't play the game. thank, itty bitty baby jesus. 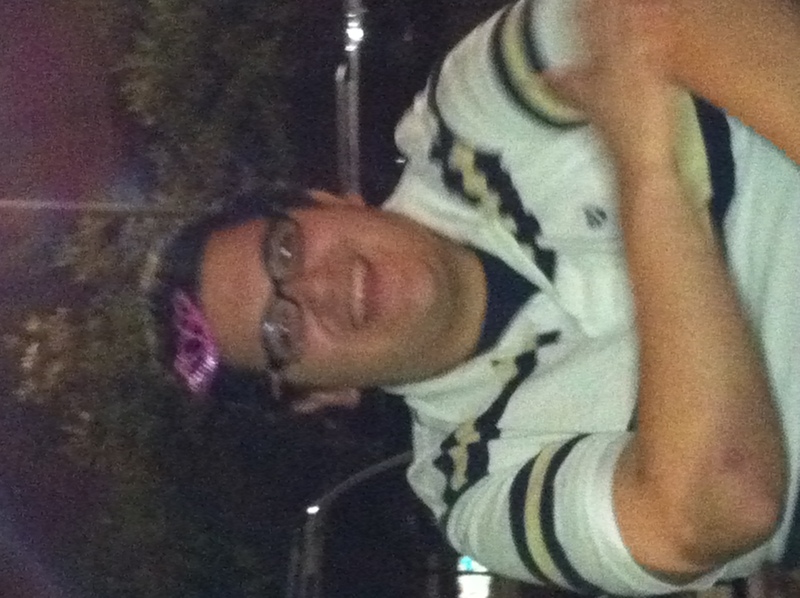 michael joined us and couldn't escape the tipsy tiaras either. they showed no mercy. did i mention that the party lasted from 3pm-1:30am, hmmm? needless to say, it was a long day. now it’s t-minus 12 days! hope you don’t have a case of the mondays! and if you do, i hope this helped a little?